An estimated 39 percent of Hoosiers have firearms and a new study find many of those guns are not stored properly. A report published in the Journal Pediatrics states only an estimated one third of Indiana households with guns store them safely. The report from the American Academy of Pediatrics specifically asked for the mental health history of children in the home and if firearms are stored locked and unloaded. Riley Hospital’s emergency department director Dr. Cory Showalter says more young Hoosiers are reporting mental health problems, including suicidal ideation. “If they have access to a firearm that is loaded and available, that potentially could be their tool for such a terrible thing,” says Showalter. According to recent data, one in five Hoosier students seriously considered suicide in the past year. Showalter says prevention is an important part of the puzzle. “I think the reality is there is a lot of homes in the state of Indiana where there is a gun or multiple guns are rather than ignoring this I think it’s important that we speak to families about the importance of safe storage,” says Showalter. Riley also reports that an average of one child a month is unintentionally shot in Indiana. 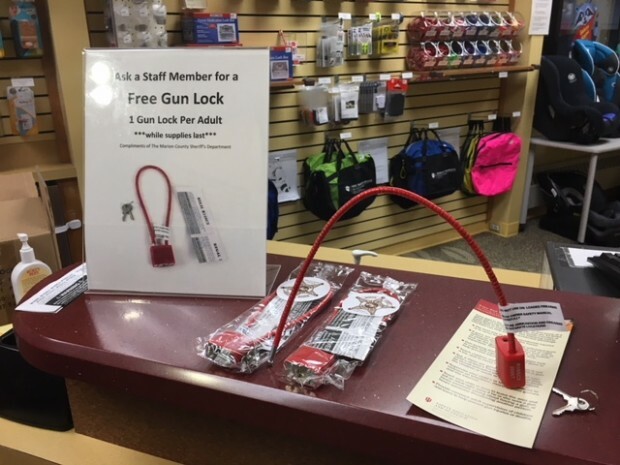 The hospital has a free gunlock program that anyone can access.